This is exactly my question before I purchased my very affordable ticket to Vietnam, what is the cost of living in Vietnam? Many travellers and former expats in Vietnam assured me that it is cheap, which I think was one of enough reasons to move to Vietnam. After I moved, I found their statement both right and wrong. Vietnam is relatively cheap, especially if you are looking in retiring in Vietnam or simply planning to start a new chapter of your life. The cost of living in Ho Chi Minh City is different from Hanoi or from the smaller towns in the country. It also depends on what lifestyle you are planning to have; type of accommodation, food to eat, where to shop, or how to get around in Vietnam are the factors you have to consider. 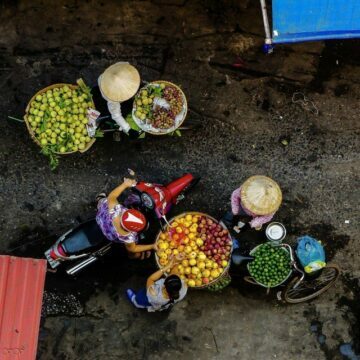 The cost of living in Vietnam depends on the type of person you are and which city you want to live. To give you an idea, I will list down what are the expected living prices in Vietnam from the housing, food, alcohol, transportation, and other things that can be helpful. You can also check out this article about budget for moving to Vietnam. If you are in a hurry, you can check this table below, scroll further down to know more about cost of living and expenses in Vietnam. These price are only estimation, your cost of living may differ depending on how you want to life and your own lifestyle. Read further to understand what is the standard expenses for an expat in Vietnam. 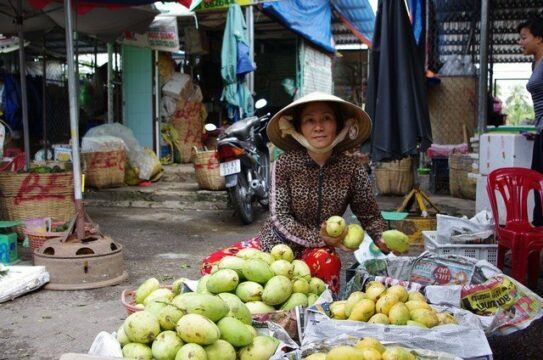 HOW MUCH IS THE AVERAGE COST OF LIVING IN VIETNAM? For an expat, the average cost of living in Vietnam is $500 including a cheap rent, decent food, transportation, and budget for leisure. I’m spending a little less than this as I share a room with my boyfriend in a shared apartment. We also rented a motorbike to go around the city and mostly cook the food for ourselves. Our biggest expense is the apartment and leisure during the weekends. The best thing here is that Vietnam can accommodate both expats who are looking into cheap living and those who are keen to have a luxurious life. Here is for more detailed about the difference between the type of housing in Vietnam and its prices. The price varies depending on the location and services that are included. Finding an apartment or house in Vietnam can be easy or hard depending on where and when are you arriving or moving. The rent cost is between $200-$1,000+ depending on the type of accommodation, location, and its size. We discussed more about apartments in Vietnam here. The minimum length of contract for your rent is 6 months, while is it very normal that a landlord may ask you to sign a year contract. If you can find someone to take over your place before you contract expires, you can get your deposit back. The electricity in Vietnam is about 3,000-4,500 VND per KW. If your landlord is charging your more than this, something is definitely not right. Personally, I find it almost the same price when you decide to cook home or eat out but that depends where you are eating; those small shacks on the street offers really affordable meal. Although a lot of expats are concern with its cooking sanitation and most of the time, the food they serve have gone cold. If you cook for yourself, it would cost about $1-$3 -cooking meals without meat is always cheaper. I also cooked big portions so I can save the rest for the next day. My roommate would freeze the left over for the future. If you are on a tight budget, rice and pasta are pretty cheap as well. Doing your grocery at the local dry market is always cheaper than shopping in commercialised grocery stores. $1-$2 for the side street vendors which you can mostly find in residential areas. While casual restaurants is about $3-$4 for a meal and/or fast food chains, fancier restaurants are about $6 and up. It's always more expensive to eat at the touristy area like Pham Ngu Lao and Bui Vien street. It can be challenging to find great place to eat there as well. You can have your food delivered for $2 and up (sometimes the delivery fee is free). I love this option, they are fast and very affordable. Forget about driving a car unless you can’t stand the pollution in the big cities or you are moving to a smaller city. Driving a car will take you forever to get to where you want to go. There is a big chance you will be stuck in traffic especially if you plan to use this when going to work. Motorbikes are your on-the-go solution to get around. You can check this article about transportation in Vietnam for some ideas on how you can get around the city or in the country. You can buy a motorbike for $250 (Hanoi) $350+ (Ho Chi Minh City), cheaper in the smaller cities/towns like Da Lat, Phong Nha, and Ninh Binh. Motorbike taxi is one of the most common public transportation in Vietnam. About $.50 (minimum) depending on how far and the demand at the time of booking, you can use either Grab or Mai Linh phone apps. For a minimum of $.50, you can go around the city. Here, you can book a car, taxi, or motorbike taxi. Some apps even offer delivery service/parcel service. Check the list of phone apps you can use in Vietnam. It's the cheapest but probably not the safest way to go around the city. For $25 you can buy a second-hand push bike. The motorists ignores the traffic lights most of the time, there are also no bike traffic lights or lanes. Alcohol is quite cheap too, depending on where you are buying - the cheapest is at the local grocery stores. Cocktails and beers are expensive in bars and clubs especially in the big cities like Hanoi and Ho Chi Minh City, also in touristy places. Get certified and start teaching! There you go! Vietnam is honestly can be very cheap if you can follow a good budget and know the places to go, eat, shop, and party. Also, it will help a lot if you build a great network of friends (locals or expats) to get some tips. I hope this article is helpful for you, if you have any questions or suggestions, let us know below the commetn section. Remember that you can download these useful phone apps that you can use in Vietnam. Join these Facebook groups too to get help and support from expats in Vietnam.